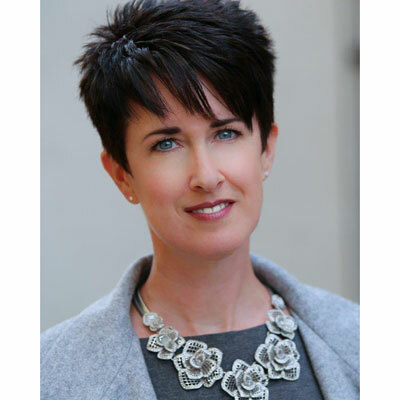 Maureen Gaumer is the senior director for North American channel marketing at Dell EMC. In this role, she works hand-in-hand with the Dell EMC North America channel sales leadership team to give solution providers and distributors with extensive marketing support to increase demand and accelerate their revenue pipeline. Gaumer manages the Dell EMC MDF program and a team of more than 30 marketing professionals, several marketing agencies, and strategic marketing programs that engage and enable thousands of North American Dell EMC channel partners at all program tiers. Prior to Dell EMC, Gaumer was the director of U.S. field and partner marketing for EMC. Gaumer joined EMC in 2013 following six years at HP as senior manager in various integrated marketing and marketing communications roles. Driving a robust revenue pipeline is critical for any business. For Dell EMC channel partners, my energies are focused on delivering high-value marketing program support that enables partners to execute programs that deliver pipeline on investment and return on investment. Specifically, over the last year, I have worked on three main pillars: execution at the partner level, streamlining MDF processes, and creating Dell EMC-led/partner-fed demand generation programs that support our emerging and smaller partners who do not have the marketing resources as our larger partners. Execution at the partner level means aligning our partner marketing managers to the company priorities to amplify MDF impact and ensure the highest possible POI and ROI. I've also worked closely with our global programs teams to bring important enhancements to the MDF program. Recently we announced several changes designed to streamline and speed up the MDF process including: the reduction of proof of execution requirements, expansion of future planning capabilities, and streamlining of activity approvals. Finally, I've helped drive expanded use of marketing dollars and assets with a network of agencies who are trained and ready to implement campaigns with partners who do not have the resources to do it themselves. Continue delivering on our promise to make it simple, predictable and profitable for solution providers to work with Dell EMC. My team is focused on aligning partner marketing programs with company priorities; while leveraging the recent program changes that reduce friction and drive better planning. Partners may now open activities prior to having MDF funds in their account, stretching the planning horizon for more strategic planning. We're also expanding agency support for smaller partners and activating partners on all our marketing resources. These include our partner marketing academy, campaigns specifically built for our partners and our digital marketing platform. In 2017, I was honored to have been recognized by CRN as one of the 2017 CRN Women of the Channel. I've come to admire Kate Middleton Duchess of Cambridge, for her work in shedding light on the symptoms and impact of children's mental health. The debilitating effects of grief, anxiety and depression are not limited to adults. Children are also subject to the negative effects and are often impacted more deeply and for longer periods. She's launched a website to help parents, teachers and childcare specialists identify symptoms and steer affected individuals to the help they need. It's inspiring that she has put so much into the cause and in leveraging her celebrity and passion to address this critical issue. At 16, like many girls that age, I knew it all. I didn't need help from anybody else and I wasn't afraid to let everyone in my circle know it. Looking back today, I would simply say, "get over yourself. You are not as smart as you think you are. The world is bigger than your small bubble and there is a lot left to learn." I'd tell myself to be open to different points of view and learn from everyone around me. I'd also counsel myself to be a bit humbler. We've all heard it: data is the lifeblood of businesses today. Gathering, organizing, interpreting and acting on data is key to driving innovation. One skill that I'm working to improve on is my ability to better analyze data and leverage it to make more data-driven decisions that can positively impact the business. For example, identifying which marketing and promotional activities drive the greatest ROI and POI for different types of partners. I do not find as much time as I would like for reading but there is one exception where I can combine reading with an activity I love - cooking. Ina Garten's French cuisine-inspired cookbook, "Cooking for Jeffrey", has provided me with dozens of outstanding meals for me and my family. She also has an interesting point of view on life and a cool backstory that includes a journey from the White House Office of Management and Budget staffer to a "Barefoot Contessa" dynasty that includes retail food stores, cookbooks and a popular Food Network program.